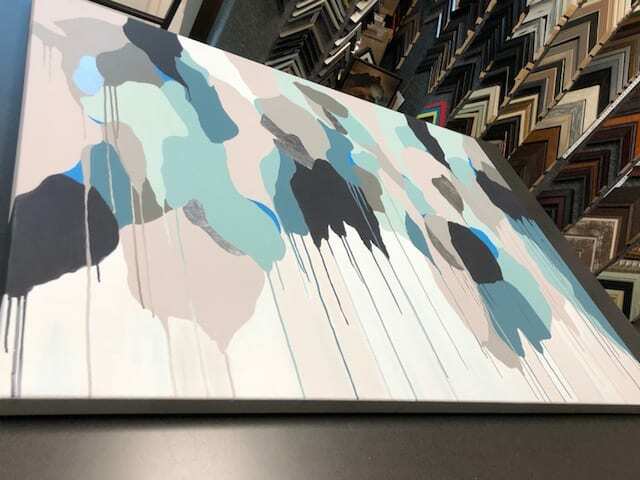 We are really excited to announce that Side by Side Design is adding gorgeous custom pieces of art into so many client’s homes. I know we have talked about this before (as seen in our previous post, Art by Angel), but I feel like we have finally perfected the process, and couldn’t be more excited! We are now starting to sell even more of these custom pieces, and have decided to share this process with all of you because we are so proud of the work we are doing, and we know you will want to get in on the fun! Step 1: You find a custom piece you are obsessed with on any inspiration site of your choice (or hire us to do it for you!). 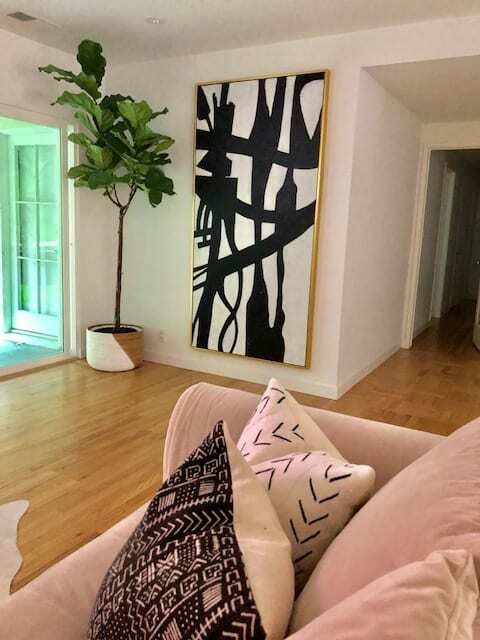 Step 2: We meet with you and our artist to discuss your inspiration, measure for the correct size, and come up with a color story that fits your home (We’ll help you with that part too!). Step 3: We meet a second time to see the sample board our artist has created and make any tweaks or changes needed at this time. Step 4: She creates your art, and you get to see for final approval. Trust me, you will love it … but if there is anything you want to change, it’s still ok to do so. 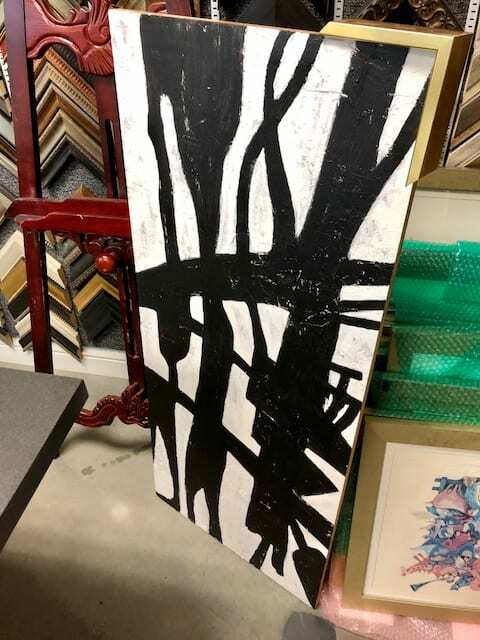 Step 5: We take your finished work to the framer and send you frame options to choose from. When it’s all done and ready to go, we will even deliver it to your home! My new house was in much need of some awesome art for my walls, so even I got in on the action. Here are some photos of my finished pieces. To say I am obsessed is an understatement! Angel is so talented! 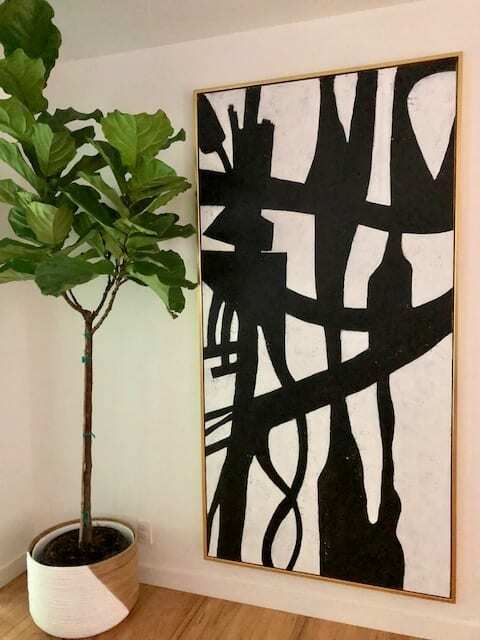 In case you are wondering what this service costs … It depends on the size but it ranges from about $800 – $1,500 including the framing (I know, super affordable right?). 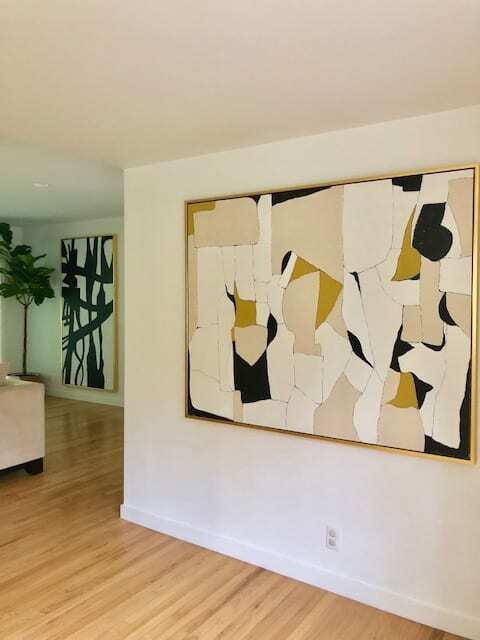 For more information on our custom art services, contact us at info@sbsdesignla.com.